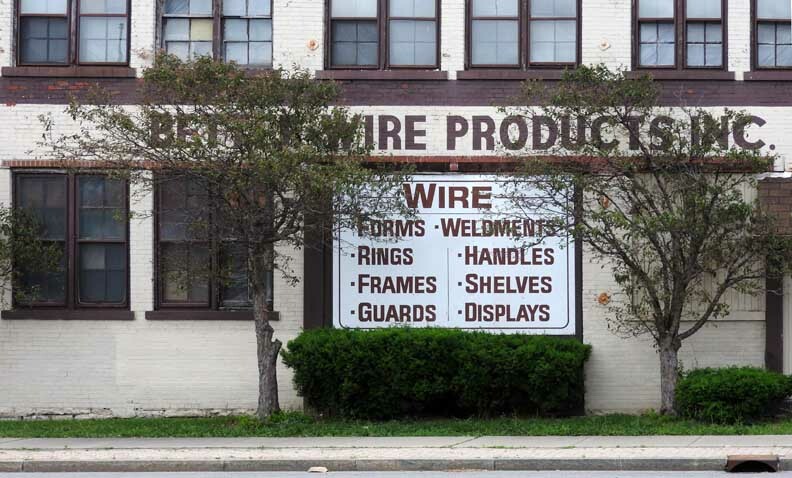 American Body Company/Better Wire Co. The American Body Company/Better Wire, Inc. Neighbor to the south: Greater Buffalo Press, Inc. / West Side Pet Clinic, 1245 Niagara St.
James R. Koen was a small Buffalo coach builder who introduced his own vehicle, the Koen in 1908. The debt caused by the failure of his automobile caused him to sell his body-building business to a group of Buffalo investors; Edward A. Selkirk, James W. Kelly and Emmanuel J. Freitas. Freitas was an experienced woodworker, Selkirk an executive with Buffalo's American Agricultural Chemical Co. and James W. Kelly a prominent Buffalo politician and financier. The new owners took over the former Koen body shop at 1257 Niagara St. in early 1908 and renamed the firm the American Body Company. With three of the nations premiere auto manufacturer's located in western New York, the new firm soon had contracts to supply E.R. Thomas, Pierce-Arrow and H.H. Franklin [in Syracuse] with complete bodies and partially completed "bodies in white". 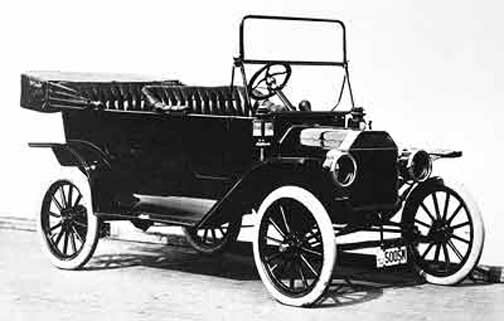 American also made tens of thousands of touring bodies for Ford's Model T from 1910 through the early 1920s. In addition to Ford's touring bodies, additional contracts were awarded to American in the teens and twenties by Franklin, Marmon, Wills Ste. Claire and others. When Ford took over Lincoln in 1921, it follows that American was amongst the firms chosen by Lincoln to produce bodies for the Lincoln Model L. American specialized in touring bodies, but built some closed bodies starting in the mid-teens. A newspaper photo from 1915 shows a barge laden with American-built sedan bodies traveling down the Erie Canal destined for the H.H. Franklin plant in Syracuse. “BUFFALO, Sept. 17-The American Body Co. has leased from the Terminal Warehouse Corp., a subsidiary of the American Radiator Co., Building B of the old Curtiss factory in Elmwood Avenue, giving it a floor space of more than 500,000 sq. ft. or the equivalent of 12 city blocks. It will lease its present Niagara Street plant. “Removal to the building is now going forward and complete operation will be in effect within 60 days. Three hundred more employees will be engaged in the new quarters. The dry kilns, formerly located in Tonawanda, will be installed in the old Curtiss building." Luckily American's experience with aluminum attracted the interest of the U.S. Aluminum Co. (later ALCOA) who was currently involved with the Pomeroy Automobile (1923-24) and they purchased the firm sometime in 1924. U.S. Aluminum Co. used the plant to make a handful of experimental aluminum bodies in partnership with Pierce-Arrow and other major manufacturers, hoping to come up with a cost-effective stamped aluminum automobile body, a project that ultimately took another 75 years to perfect. American Body Co. was then renamed U.S. Aluminum Co.; Fabrication Division and volume automobile body production ceased for good. However, the Buffalo shops continued to produce experimental bodies through the 1950s. Safford K. Colby is credited with building a prototype all-aluminum coupe body for a Willys Jeep as late as 1950. Additional prototype bodies were built for Mack Truck during the late 1920s. One experimental Pierce-Arrow Series 80 built by US Aluminum/ALCOA is on permanent display at the Henry Ford Museum. The American Body Company produced Model L bodies and other medium-priced auto bodies in aluminum steel and wood. The company’s main office was at 1200 Niagara Street, with factories at 1088, 1095, 1200 and 1255 Niagara Street. The company first appears listed at 1255 Niagara Street address in 1911. The company produced bodies for Lincoln and continued that contract until late 1926. The company’s experimentation drew the attention of the U.S. Aluminum Company (ALCOA) in the hopes of producing cost-effective stamped aluminum automobile body and, in 1927 American was renamed U.S. Aluminum Co.; Fabrication Division. At this time volume automobile body production ceases and the company focused on producing experimental aluminum bodies in the Buffalo factories through the 1950s. By 1950 the factory at 1255 Niagara Street was no longer manufacturing aluminum auto bodies and lists the various uses in the building as storage on the second floor, used car storage, auto repair and a pattern shop. The factory constructed for the American Body Company consists of a three story block to the south and a two story block to the north. Although the windows in the three story block have been replaced on the first and second floor and infilled on the third the building retains a high level of integrity. The original stone sills remain extant throughout. 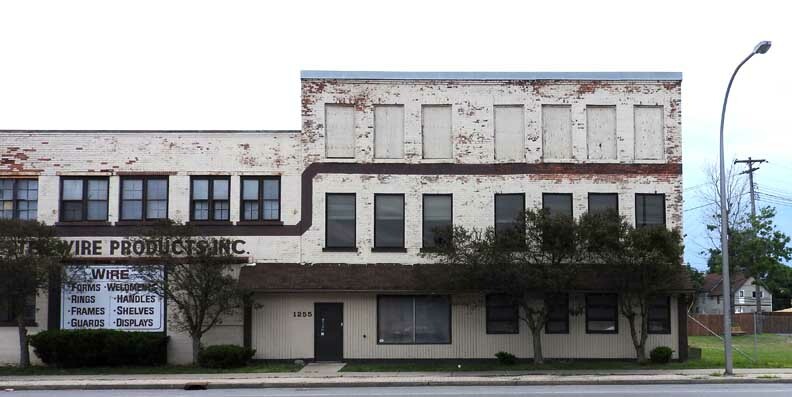 The American Body Company produced Model L bodies and other medium-priced auto bodies in aluminum, steel and wood out of their factory at 1255 Niagara Street beginning in 1911. By the 1920s the company was producing experimental aluminum automobile bodies. By the 1950s the company had moved out of their Niagara Street location.